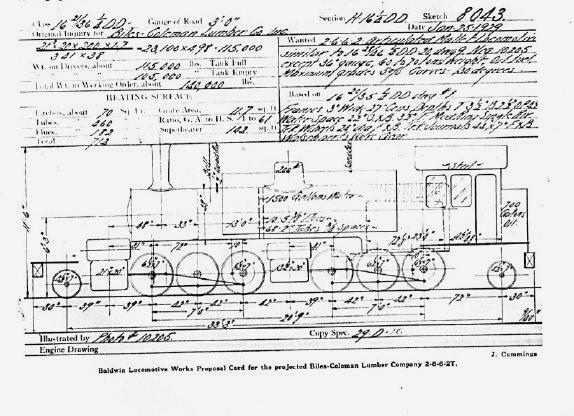 This locomotive was never actually built. B-C Lumber of Omak, Washington asked for a proposal from Baldwin and this is what the company submitted. It was based on the Ferrocarril do Sur #9 of 1921, described in Locobase 4762. Interestingly, this was not the heaviest 3-footer; several designs were built that were heavier.